This high modulus component Silicone Sealant forms strong cohesive bonds to glass without the need of primers. Kingston Silicone Sealant is a non-slump sealant and can be applied to vertical surfaces without flowing or sagging. Q: How long can I get a quote9 A: The quotation can be provided not longer than 24 hours on condition that we know all detailed requirements. One-component adhesive sealant Cures at room temperature when exposed to moisture in the air Acetoxy cure system Non-sag, paste consistency D ow Corning 732 Multi-Purpose Silicone Adhesive Sealant cures to a tough, flexible rubber with good adhesion to many substrates. Dowing Corning 732 Color White / Clear / Black Q1: How you control the items quality9 A1: Before shipping, All products will be tested one by one to make sure they can work perfectly when customers received them. Q4: when we receive the box, find any items missing or defective, how should we do9 A4: Please taking video or pic to showing your problem and contact us ASAP, we will check and give you the best solution soon. 1 YRS Foshan Shunde Gaolide Organosilicone Industry Co., Ltd.
polyurethane sealant has vaires of different range of quality due to your application . polyurethane sealant for windows and doors corner frame bonding . It has been mainly used in home decoration due to its no odor no harmful to body . It is acid free and therefore suitable for either metallic or alkaline surfaces. Acetic silicone sealant tends to cure faster and to adhere better than does neutral one. It should be noted that both types of silicone sealants are suitable for plastics and glass. It is ideal for interior and exterior applications with strong bonding atrength, heat resistance, anti-uv, anti-cracking feature. , Ltd was established in 2008, is a manufacturer specialized in the research, development and production of all kinds of adhesive. We are located in Linyi city, Shandong province, with convenient transportation access. All-purpose acrylic latex caulk plus silicone The sealant is a acrylic based one part, waterproof, paintable sealant; it cures to a flexible and tough rubber with good adhesion to most building material surface without primer. Usage: The sealant designed for sealing the gaps, joints in interior and exterior, such as doors and window frames, walls, window sills, prefab elements, stairs, skirting, corrugated roof sheets, chimneys, conduit-pipes and roof gutters. It is also can be used on most construction materials, such as brick, concrete, plasterwork, asbestos cement, wood, glass, ceramic tiles, metals, aluminum, zinc and so on Typical properties: No. 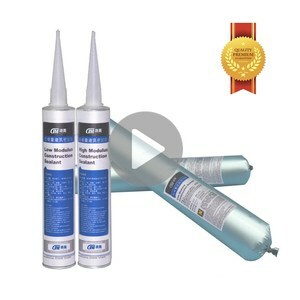 Alibaba.com offers 2,945 adhesive sealant caulk products. About 87% of these are adhesives & sealants, 6% are caulking gun. A wide variety of adhesive sealant caulk options are available to you, such as free samples, paid samples. 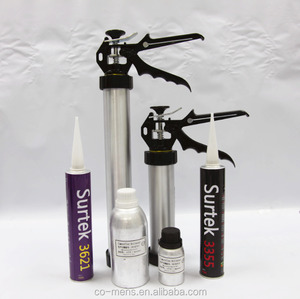 There are 2,945 adhesive sealant caulk suppliers, mainly located in Asia. 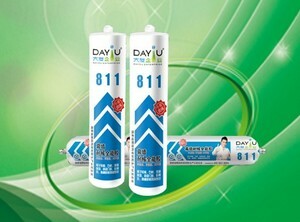 The top supplying country is China (Mainland), which supply 100% of adhesive sealant caulk respectively. Adhesive sealant caulk products are most popular in Southeast Asia, Domestic Market, and Mid East. You can ensure product safety by selecting from certified suppliers, including 982 with ISO9001, 243 with Other, and 215 with ISO/TS16949 certification.